Selling your Suzuki is as Easy as One, Two, Three! Used Car Guys will make a FIRM offer for your Suzuki. If you want to Sell My Suzuki the Simple & Secure! way,simply enter your registration number and a few simple details. We will call you back promptly with a FIRM offer for your Suzuki, based on your description. If you like our offer, we will collect your Suzuki at a time convenient to you, and pay you by cash or secure bank transfer from ANZ. 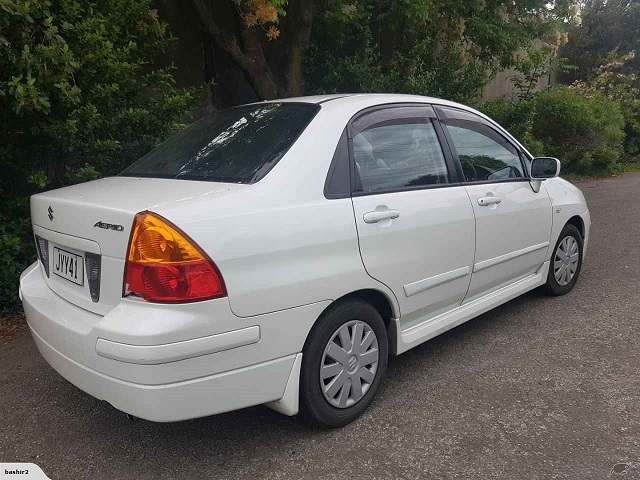 While Suzuki’s range of cars on New Zealand roads is not as vast as other manufacturers, they are known for producing a range of sleek, reliable and affordable cars. Models such as the Suzuki Swift have sold well in the New Zealand, providing owners with a pleasing balance of great performance and style. If it’s time to upgrade your Suzuki however, you can get a FREE and instant car valuation by entering your reg number in the box above! People those who are having Suzuki manufacturing cars for them we had an offer that they come to our website and just show us their interest that I had to sell my Suzuki in New Zealand (Cash for cars Auckland, Cash for cars Wellington, Cash for cars Christchurch…) and without wasting any time we will be getting up to you and after having a close look to your car we will pay you the actual price of it while standing at your door step. To receive a free, no obligation price for your Suzuki, please request a quote. If you have any further questions then please contact us for more information about selling a Suzuki. We pay top cash for Audi, Toyota, Mazda, Isuzu, Nissan, Mercedes, BMW, Ford, Mitsubishi, Volvo, Honda, Subaru and many more. We pay decent cash for trucks as well.